On Thursday the U.S. Federal Aviation Administration announced that it will soon allow passengers to use their personal electronic devices throughout a flight. This would include takeoff, landing, and taxiing in addition to cruising altitude. The announcement was made by FAA Administrator Michael Huerta at the Reagan National Airport which services Washington, D.C. and the surrounding metropolitan area. Current FAA regulations only allow use of electronic devices at cruising altitudes 10,000 ft. (3,048 m) and above. Airlines will be confirming that all of their aircraft can safely allow the use of smartphones, tablet computers, book readers, games, and other handheld electronic devices on board their aircraft. Once confirmed, the individual airlines will submit reports to the FAA for approval. One airline, Delta, has completed tolerance tests with relation to the use of personal electronics on board and has already submitted their results for approval by the FAA. This is according to Delta Airlines spokesman Paul Skrbec. 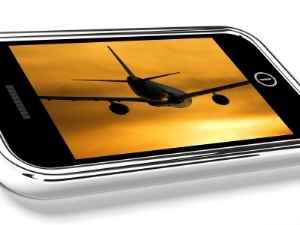 It is projected that by the end of December 2013 all airlines will have eased restrictions on the use of personal electronic devices during all phases of a flight. The announcement was welcomed by not only passengers but airline flight attendants as well. According to Laura Glading, President of the Association of Professional Flight Attendants, the requirement for flight attendants to enforce the rule to turn off electronic devices during takeoff and landing has long been unpopular because they felt the pressure of having to always monitor passengers. Passengers still will not be allowed to connect to an internet signal outside of the aircraft. However some flights have onboard wireless access. They will also be prohibited from making calls with their smartphones. Restrictions on the use of personal electronic devices have been in place since the devices started becoming widely-used and popular years ago. This was because it was feared that the signals emitted from the early devices would interfere with communications on board the aircraft. Amazon, the maker of the Kindle electronic book reader, has been testing this product for several years with the objective that it will not cross with aircraft communication systems. Posted by News on Nov 2 2013. Filed under Featured, New, Travel. You can follow any responses to this entry through the RSS 2.0. Both comments and pings are currently closed.